I have been trying to make the Abbs pack work with 2.0.3 and have nothing but failings. I love the models for weapons and most of all i love the colt! I like how it burst shoots pistol rounds for you. If anyone has it working, please let me know what you did, i miss the Abbs pack! I checked several older releases of the Abbs pack and the Risen3D model packs and got hold of the missing models/textures. I added them to the current Abbs pack, adjusted some of the model path definitions accordingly and removed the unused files. Furthermore I extracted the sound lumps from the included WAD file, converted those to WAV audio files and added them to the Abbs pack by creating an appropriate SFX subfolder. Nice work. I added these two to the Add-ons page. deus-ex - I cannot thank you enough, amazing work!! I had a go at running this, I removed the zip extension, and made it a pk3 file, put it into the same folder as my other Doomsday addons, fired up the Doomsday launcher, and tried to install it. It was visible amongst my other addons, but unfortunately, after installing the pack, I just got an error message saying "selected packages missing". Doesn't seem to work for me, unless I'm doing something wrong? I just rechecked the install process myself, redownloaded my "Abbs Full 7.1" pack, created and setup a new add-on folder, etc., it all works flawless here. There are no additional packages required for the "Abbs v7.1" add-on to run. Have you tried to copy the add-on into Doomsday's subfolder \data? Also, what do you mean by "installing the pack"? You activate/deactivate add-ons via the add-ons dialog. Just to make sure there is no missunderstanding, please check my post here which describes the add-on setup process in more detail. Sorry - Installing is perhaps a poor choice words. I simply attempted to activate the addon in the same manner I activated all my other addons - using the method described in your post. 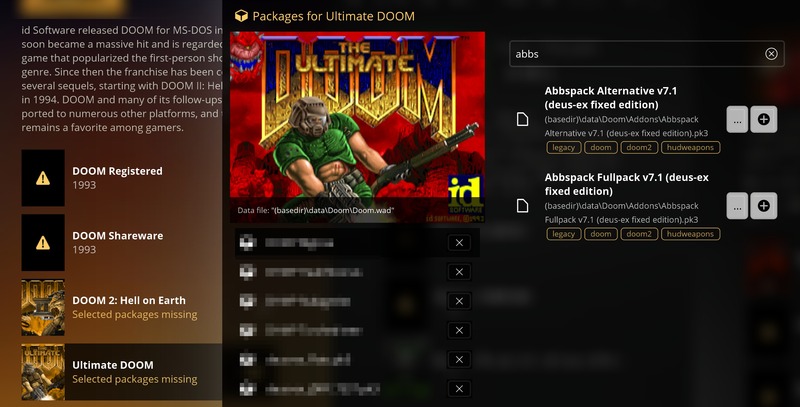 Abbspack is visible in the list of addons, but any attempt to run the game with Abbspack selected as an active addon causes the error message "selected packages missing"
I wonder if it's because I'm still using Doomsday V2311? The updated Doomsday unfortunately caused an issue for me where the volume for both sound and music were kind of linked to the same circuit - i.e turning up audio effects also turned up the music and vice versa - so I reverted back to the earlier stable build. Anyway, I'll try doing as you suggested and copying the addon into the \data folder. I suddenly had a brainwave, which worked. I've fixed it. 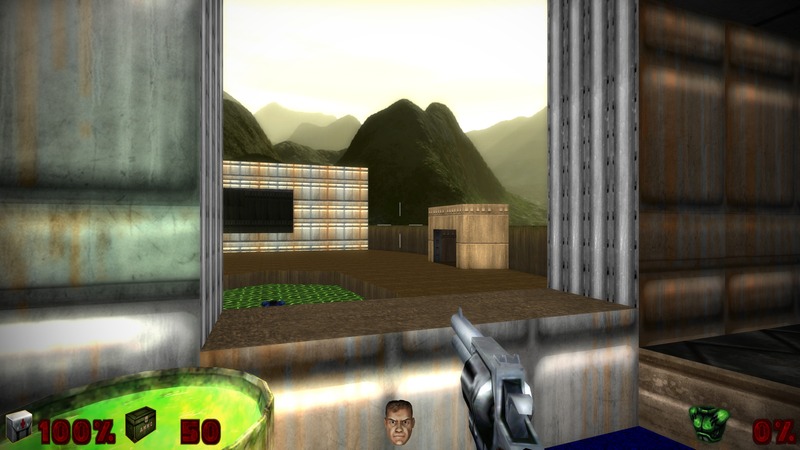 "Abbspack Fullpack v7.1 (deus-ex fixed edition).pk3"
For some reason, my Doomsday didn't like the long name. I've no idea why. But at least it's working now. Thank you very much. Glad you worked it out, it's probably related to the build of Doomsday you are using. Thanks for the feedback, enjoy your Abbspack. I experienced the same issue and reported it here. With the recent addition of FluidSynth for MIDI output to the unstable builds (from build 2443 onwards) the issue is kind of solved. Find more details in the linked thread. If you don't like to use unstable builds, the stable build 2435 still allows to adjust sound and music volume independently. 2435 - I understand. Will update to that version. Cheers.